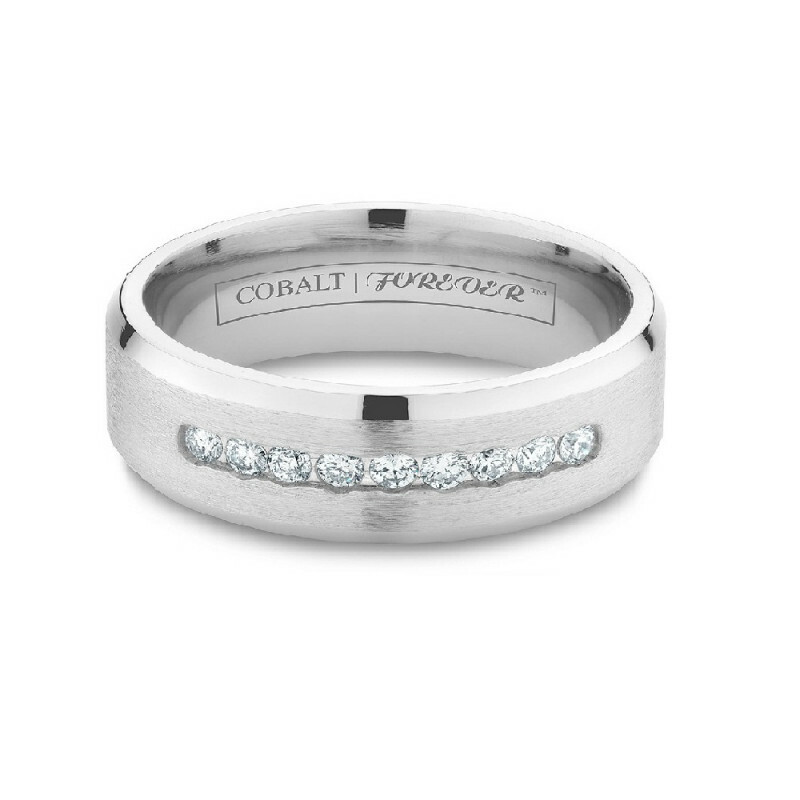 A top of the line wedding band for the love of your life. 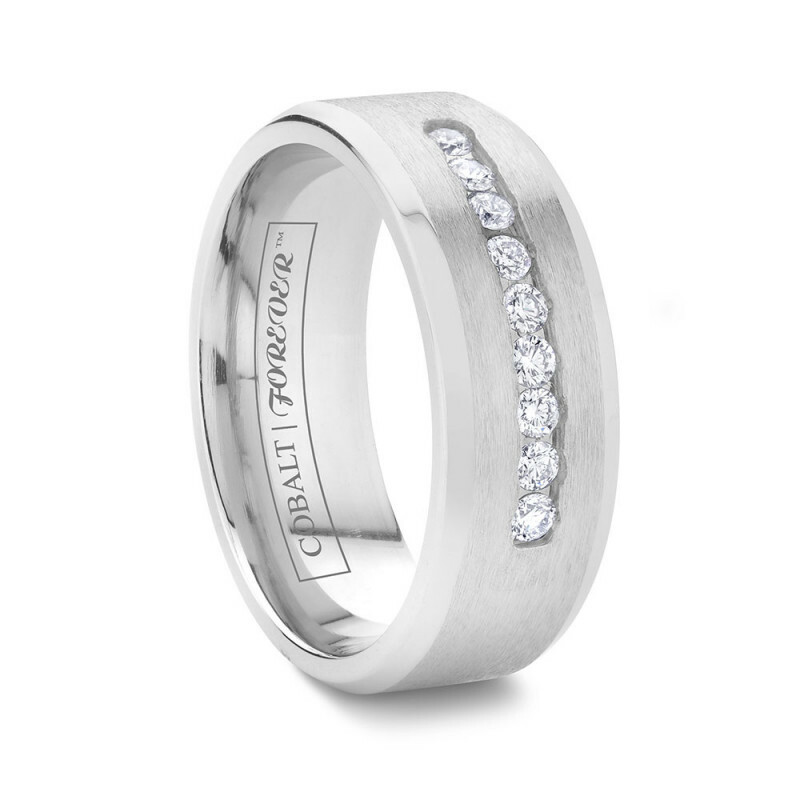 The ARCADIA is the pinnacle of form and function with its 9 channel set diamonds, palladium insert and durable cobalt chrome beveled wedding band. A brushed center is coupled with the stylized appeal of matching beveled edges and is available in 8mm wide. 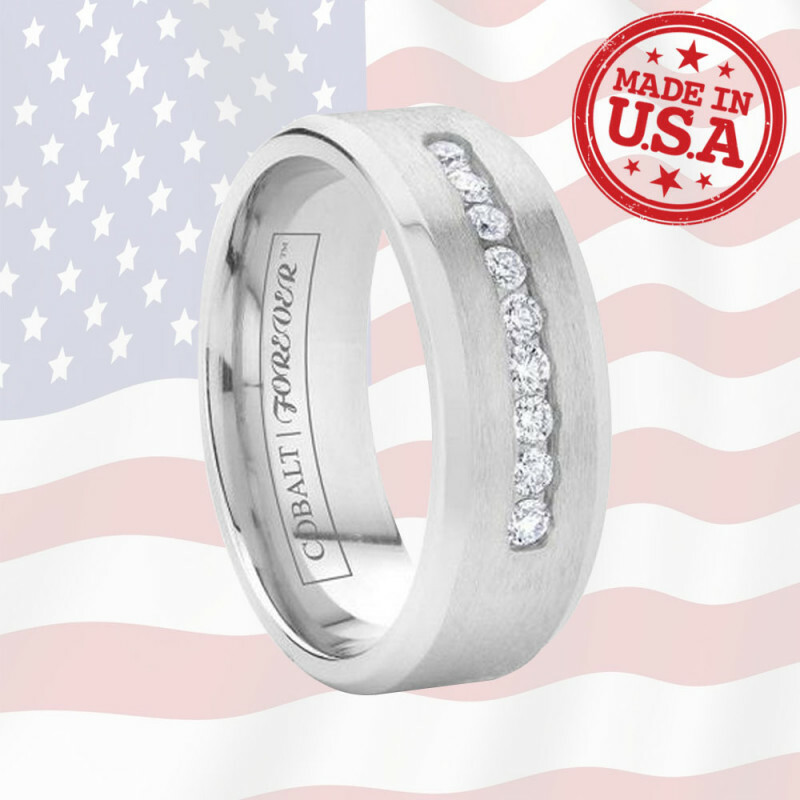 Spare no expense when it comes to the one you love with this wedding band.Lifetime Sizing & Lifetime Warranty! 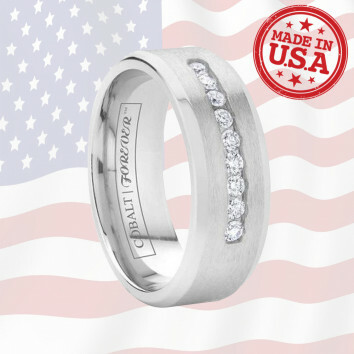 Review by Rebecca (Omaha, Nebraska) - Five stars plus+++!!!!!!!!!! !